One of my favorite types of posts to write here on LaurenConrad.com are Detox Diary posts: a self-conducted experiment where I try a new trend in the health world and see how it works for myself. I’ve blogged about my experience with doing a juice cleanse, trying oil pulling, and detoxing from the inside out, too. And today, I’m here to tell you all about the “skin cleanse” I’ve been on for the last two weeks. With my New Year’s resolutions still going strong, I felt like this was the perfect time to start my detox. So, I enlisted the help of Team LC’s friend and nutritionist Kelly LeVeque, who gave me a detailed set of guidelines and rules to follow during this skin cleanse. I can proudly say that I just completed this two-week experiment, and the results are pretty fascinating. Mind you, I take my health pretty seriously, eating as healthy as I can and going to the gym regularly. 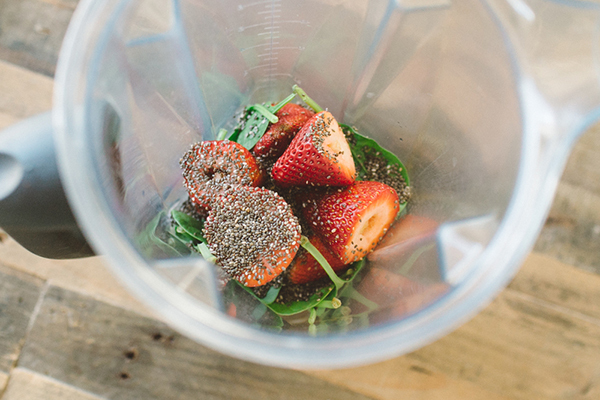 But even for someone who’s already healthy, this cleanse still yields some impressive results. Cut out all refined sugar. Kelly explained that refined sugar spikes your insulin levels, causing a burst of inflammation in the body (and on your skin). In case you didn’t know, inflammation is responsible for breaking down collagen and elastin, which keep your skin tight and wrinkle-free. In short, cut out all candy, sweets and sodas. Add leafy greens to each meal. There’s no denying that the vitamins and minerals in leafy greens like kale, spinach, parsley and cilantro are essential during any kind of detox. Kelly recommended boosting my smoothies and salads with extra kale because the beta-carotene delivers a youthful glow and neutralizes free radicals. Load up on spinach too. It’s a good source of omega-3s, potassium, calcium, iron, magnesium, and vitamins B, C, and E.
Drink a glass of lemon water each morning. This boosts your metabolism right when you wake up, and gets your body detoxing first thing in the morning. It’s also alkaline, so it helps balance the pH levels in your body, reducing skin inflammation and flare-ups. Rich in vitamin C, this citrus fruit will help your body purge excess water weight and balance the sodium and potassium levels in your cells. Add a slice of lemon to a mug of warm water in the morning to encourage digestion or squeeze onto your salad when dining out. Make your midday snack a healthy one. 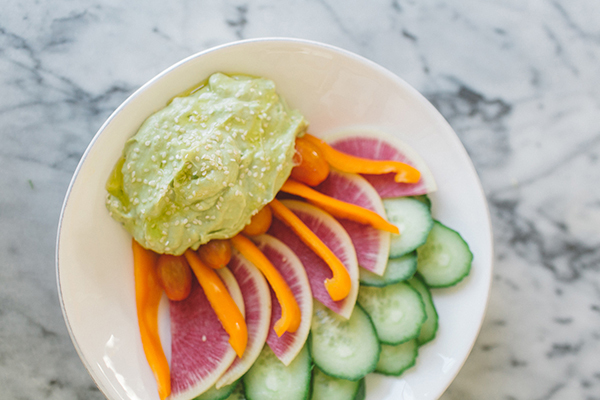 This means no more popcorn or granola between lunch and dinner… Kelly recommended having sliced cucumbers, carrots and celery on hand to eat with healthy dips like hummus and almond butter. Cucumbers are especially good for your skin: they contain hydrating, nourishing and astringent properties that are very good for skin both from the inside and topically. The enzymes in them help digest damaged skin cells, removing dead skin cells safely and adding a fresh glow. Amp up your parsley and cilantro. Parsley, known for supporting liver and kidney functions, acts as a metabolism booster while removing toxins. Kelly told me to add it to my daily green juice or sprinkle the milder flat-leaf version on a salad to keep those toxins from showing up on my skin. Cilantro is rich in antioxidants that prevent damage from free radicals and it helps the body purge “heavy metals” consumed in non-organic foods. Grow your own easily at home and add to rice, salads, salsas and dips. Stay off soy. Soy is full of phytoestrogens that can make your face breakout, explained Kelly. These hormonal blemishes occur around the mouth and jaw line. Cut the coffee. Caffeine is a diuretic, which means too much of it will leave you feeling dehydrated (and probably with a headache and under eye circles, too). 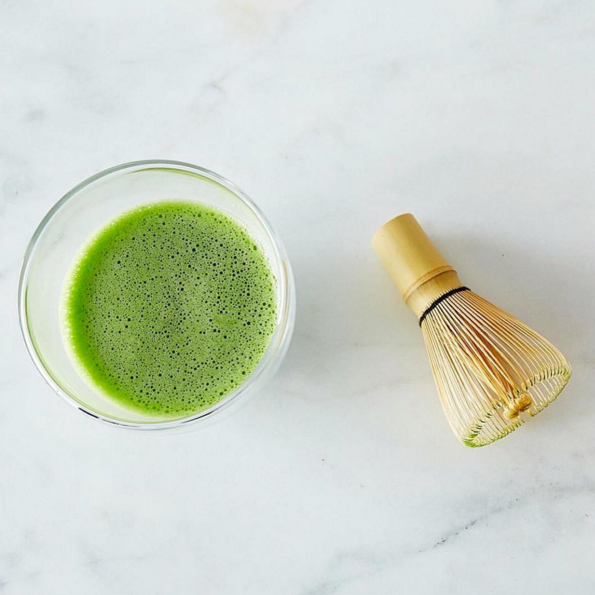 Try switching to green tea if you really need a little boost in the morning—it only has a fraction of the caffeine found in coffee, and it has wrinkle-fighting antioxidants. Use a face oil three times a week. 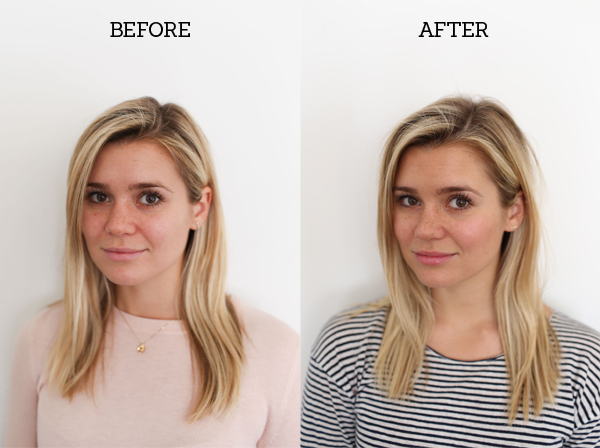 Kelly says that “oiling” is her best-kept secret for clearing up her clients’ skin. My go to is calendula oil by Eminence, but you could easily use an organic coconut oil too. Oiling a few nights a week keeps my skin dewy and hydrated. This is not the thick night crème you are used to but a thin veil of simple oils to calm, hydrate and help heal the skin. Contrary to popular belief, bacteria doesn’t grow in these oils. Drink half your body weight in water per day. Water increases your metabolism so much that if you’re chronically dehydrated, it can mean up to an 8-pound weight gain or more per year. No wonder weight creeps on! Your challenge is to drink at least half your body weight in ounces of water per day.For example, someone who weights 150 pounds should be drinking 75 ounces of water a day. This doesn’t mean all at once, it means throughout the whole day. Don’t skimp on your healthy fats. Avocados will be your best friends on this diet. Avocados, full of moisturizing monounsaturated fats, are a great source of antioxidant carotenoids like alpha-carotene, beta carotene, beta-cryptoxanthin, zeaxanthin and lutein that provide significant protection for your skin from the environmental damage that leads to fine lines and wrinkles. Kelly suggests putting them in your smoothies and adding them to your salads. Cutting out refined sugar was tough, but after a few days it became easy. Going off candy and sweets was something I had been wanting to do for a while to keep my energy levels more stable throughout the day, so this was a good excuse to start. Once I got over the hump, I satisfied my sweet tooth with a ginger Health-Aid Kombucha or a piece of fruit. And after a few days, I felt that I had more energy at work (no more mid-day slump), and my pores started to look clear and actually smaller. Eating more greens made a huge difference in the way my skin started to glow. It might be subtle to someone else, but to me it was quite noticeable. 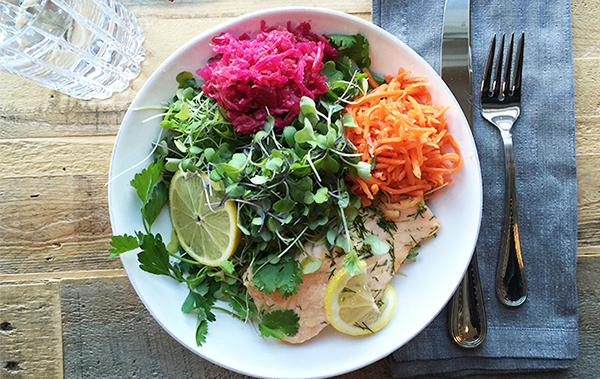 Plus, I felt amazing inside and out, eating greens at every meal. It’s something I plan on continuing to do. Kelly had warned me that cutting out soy would be the biggest blockbuster in terms of results, and she was right. I was amazed at how much my skin cleared up simply by saying no to edamame and soy sauce at sushi restaurants. Sushi is my all-time favorite food, so I thought this one would be tough. But I replaced my edamame with a seaweed salad and used coconut aminos in place of soy sauce (Yep, I sure did sneak a bottle into the restaurant in my purse. Guilty!). Switching from my body lotion to coconut oil was tough because it was a product I’d been using forever. The texture of coconut oil felt a little greasy on my skin at first, but it does eventually soak in. And my skin feels amazing—soft and hydrated. While the results are pretty good from this change, I think I’ll find a middle ground and look for a natural, organic body lotion that absorbs into my skin a little more quickly than coconut oil. Cutting out coffee wasn’t too hard—I’ve done it before, so I knew I could do it again. And now I actually prefer my cup of iced green tea instead of my usual latte. For coffee addicts, I recommend doing this one slowly, weaning yourself off cup by cup. I did notice that my energy levels were much more stable throughout the day and I felt more hydrated because I was drinking more water each day. I also slept better, which made my eyes look rested and reduced my under eye circles. I did have one hormonal breakout at the beginning of the two weeks, but I noticed I was sleeping better from this cleaner diet and regimen, so those hormonal blemishes cleared up much faster than they normally would have. Overall, my skin feels dewy and glowy… It looks like I’m eating healthy fats and getting the vitamins and nutrients my body craves. The best part (in my opinion) is that I made some good habits that I’m going to stick with even after this cleanse has ended. In this post, I use the word “cleanse” to describe how I eliminated some of the toxins from my diet… Not all of them. We are in no way suggesting that you obsessively monitor everything you put in your body or only eat the foods on this list. These are simply guidelines and results from a fun experiment! The most important thing to remember is these three words: Everything in moderation. And there you have it! This post was a lengthy one, but I couldn’t leave out a single detail. Be sure to write to me in the comments if you have any questions or want to give it a try yourself. And a huge thank you to Kelly LeVeque, who helped me get my glow. 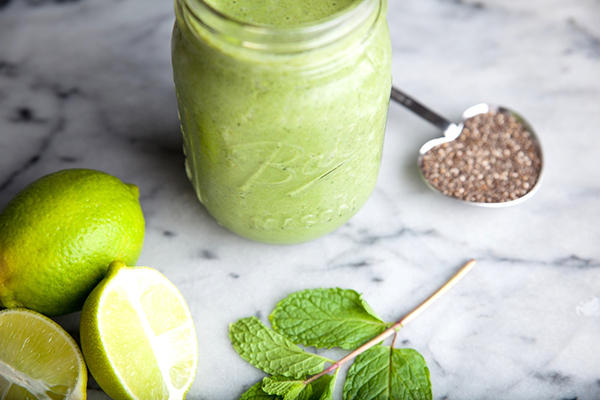 Will you give this healthy skin cleanse a try? Leave your two cents below.